What do you think of when cataracts come up in conversation? Maybe it’s someone elderly who has them or they’ve gone blind. There’s a lot more to cataracts than that! Keep reading for 6 facts you should know about them! Did you know that cataracts are the leading cause of blindness worldwide? More than 3.5 million people undergo cataract surgery in the United States every year. A cataract occurs when the lens becomes cloudy due to age. More than half of all Americans have had cataract surgery or have developed a cataract. Cataracts are an inevitable part of the aging process! Every year, the rate that patients have cataract surgery increases. While that increases, the age that cataracts develop at is now decreasing. The average age for cataract development is now closer to 65, when it used to be about 75. All surgical procedures, from wisdom teeth removal to LASIK, involve some risk. Cataract surgery is the only way to prevent total loss of vision from cataracts. This means that a patient’s need to see outweighs the risk level. These risks are very low compared to the benefits of cataract surgery. Surgery is not necessary until the cataract has grown large enough to affect vision. Since cataracts tend to develop and grow slowly, it can be decades from diagnosis to surgery. But more cataract patients are opting for cataract surgery earlier rather than later. Advancements in technology and medicine have made cataract surgery safer than ever before. Many people want to avoid interruption of their active lifestyles. By getting cataract surgery early, these patients never experience vision loss from cataracts. Your cataract surgeon will first use numbing eye drops to prepare you for your procedure. After the numbing eye drops take effect, you may feel slight pressure. Some patients also report seeing light or shapes while the procedure is going on. Cataract surgery is an outpatient procedure. Patients are home and resting the same afternoon, and are often back at work within days. Wondering if you may need cataract surgery? 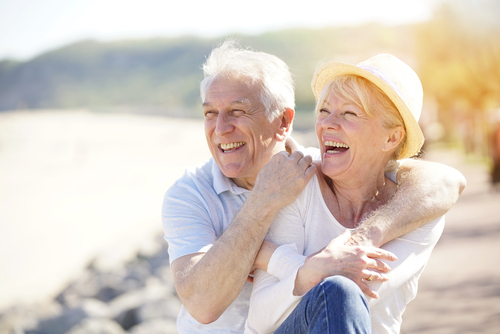 Schedule a cataract screening with Stahl Eyecare Experts in the Long Island area!